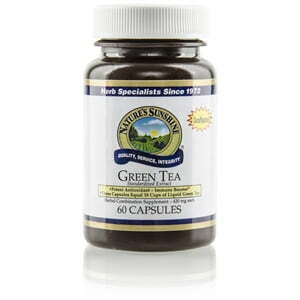 Full of antioxidants that are 200 times better than vitamin E at ridding the body of free radicals, green tea extract is a powerful tool in protecting the lipids in the brain and in the body’s tissue from would-be attackers. What’s more, green tea nourishes other bodily systems such as the immune system and kidney function while also supporting the body’s ability to clot blood and maintain normal cholesterol levels. 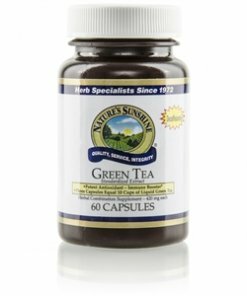 Each Nature’s Sunshine capsule contains 400 mg of standardized green tea extract made of 80% polyphenols, 60% catechins, and 30% EGCT.